A New Video has been shared online showing the deplorable conditions Kenyan employees are subjected to in Saudi Arabia. The latest video shows a number of women locked up in a small house in Tarhill in a form of prison. 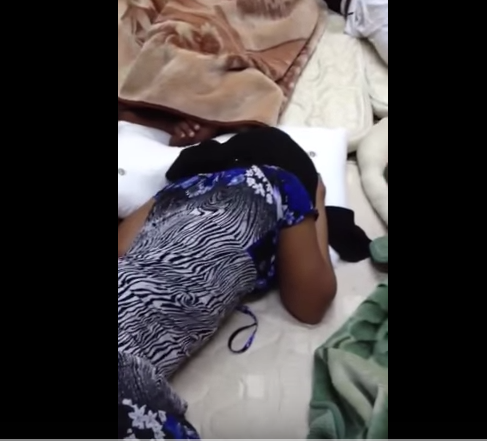 The video which was shared by US based Kenyan rapper Nelson Muriuki who some time back started the petition to bring one kenyan stuck in Saudi Arabia Martha Nyaguthii who was found in a coma at a hospital in the country. Nelson says he received the video on Sunday from one of the ladies who called her desperately looking for a way to come back home. The women in question are said to have been tortured and locked up due to minor offenses which according to them are not even try, but ways to kick them out without pay after months of hardworking.